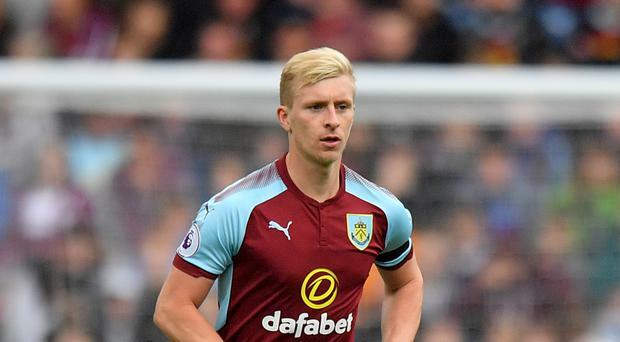 Burnley defender Ben Mee has extra incentive to deal Manchester United's Premier League title hopes a blow at Old Trafford. Sale-born Mee, a lifelong Manchester City fan who progressed through their academy, is from a family divided by red and blue. He is focused on helping Burnley maintain their top-four challenge, but also wants the bragging rights. "There are a few United fans in my family. A couple come to the game, cousins, uncles - big United fans," Mee said. "I've managed to turn them into Clarets, but it's a good place to go, only 10 minutes from my house, just down the road. "I'm a blue, but I'm a Manchester lad. I like going to both stadiums. I've been to Old Trafford a few times, watched games and I enjoy the atmosphere it creates, the fact it's an old, nice stadium, a big stadium." Burnley remained seventh, three points adrift of a Champions League place after Saturday's 3-0 home defeat to Tottenham, while United lost further ground on leaders City courtesy of Leicester's stoppage-time equaliser at the King Power Stadium. When asked if Burnley could end United's title chances with victory on Boxing Day, Mee said: "Possibly. We'll see how it goes. "City are on top at the minute, but United will definitely keep on their tails. If City slip up, United will be there to capitalise. "If we get a result there, it will benefit City as well, but United won't give up the chase. "I'm more focused on what we do and how we work rather than looking at them. I've got friends and family I'll rib and take the mickey out of, but it's more about us doing well and wanting to win for us." Despite divided family loyalties, Mee, who joined Burnley on loan from City in the summer of 2011 before the move was made permanent the following January, said a visit to Old Trafford is always one to cherish. United's players walk out at home to The Stone Roses' song 'This Is The One', and Mee revels in that. "It's one of my favourite places to go," the 28-year-old said. "Coming out to The Stone Roses as well is a big bonus, one of my favourite entrances to the pitch - it gets you going. "It's a great tune. It pops up in our dressing room every now and again as well. We get a bit of The Stone Roses after the game sometimes. I enjoy it. "It's one I look forward to, and the fact it's Boxing Day as well, Christmas time, it's going to be a good atmosphere."